Pile Design and Construction Rules of Thumb presents Geotechnical and Civil Engineers a comprehensive coverage of Pile Foundation related theory and practice. Based on the author’s experience as a PE, the book brings concise theory and extensive calculations, examples and case studies that can be easily applied by professional in their day-to-day challenges. In its first part, the book covers the fundamentals of Pile Selection: Soil investigation, condition, pile types and how to choose them. 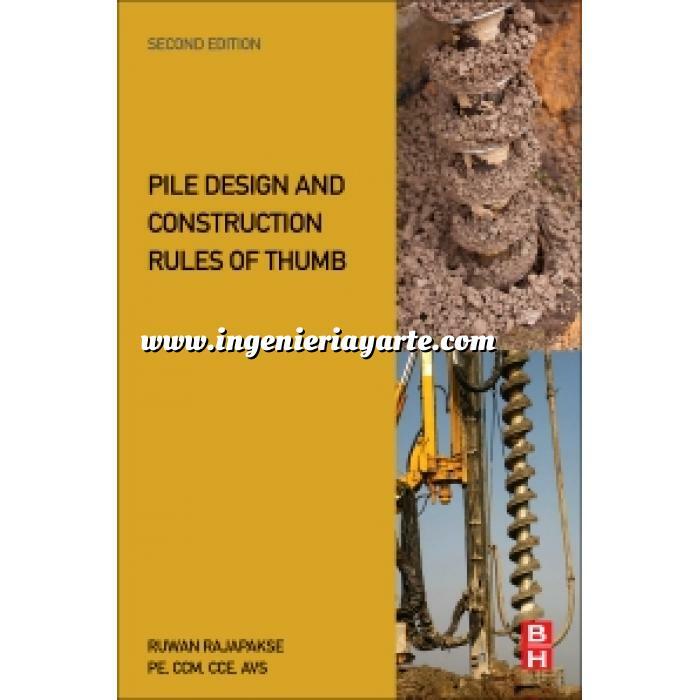 In the second part it addresses the Design of Pile Foundations, including different types of soils, pile groups, pile settlement and pile design in rock. Next, the most extensive part covers Design Strategies and contains chapters on loading analysis, load distribution, negative skin friction, design for expansive soils, wave equation analysis, batter piles, seismic analysis and the use of softwares for design aid. The fourth part covers Construction Methods including hammers, Inspection, cost estimation, load tests, offshore piling, beams and caps. In this new and updated edition the author has incorporated new pile designs such as helical, composite, wind turbine monopiles, and spiral coil energy piles. All calculations have been updated to most current materials characteristics and designs available in the market. Also, new chapters on negative skin friction, pile driving, and pile load testing have been added. Practicing Geotechnical, and Civil Engineers will find in this book an excellent handbook for frequent consult, benefiting from the clear and direct calculations, examples, and cases. Civil Engineering preparing for PE exams may benefit from the extensive coverage of the subject. •Serves as PE exam preparation material.